Verberate is a live literature event at Fallowfield, Manchester. Behind the activity is an English group of artists and writers, which as I understood work among other for the cause of refugees through supporting refugees' art expressions. 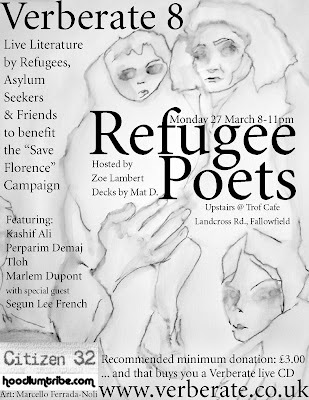 Sometime ago, the group asked me for consent in using my painting Forced return to Warland as the motive in a poster announcing a poetry event in Manchester. I would be honoured, I reply. This is a picture of the resulting poster. 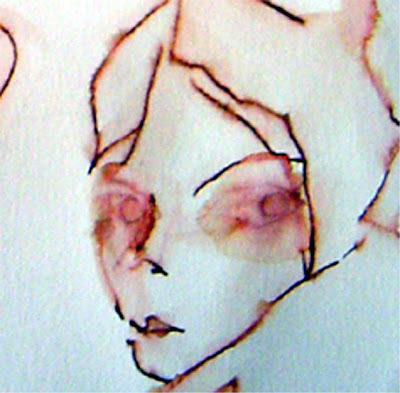 Also, down below, a detail and the original as shown at my art exhibition in Stockholm 2004.